Gorgeous Stones Russian CZ Stones! 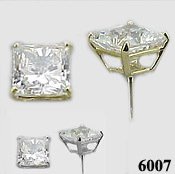 in Solid 14k gold or 14k White Gold. Now available with a medium/heavy setting option.